More than 70 organic products, gluten free and suitable for vegan and vegetarian, among which cereals, rice, seeds, pulses, sprouted food and flours. Simple foods, thought out to face today’s new trends and lifestyle: frenetic rhythms dictated by work, family and personal tasks on one side and, on the other, a new awareness that we must feed ourselves with care. It looks like these two needs are often poles apart. This is the reason why, thanks to its innovative single-dose proposals, Res-Novae® created Levis, a new way to have breakfast or a break. The single-dose bag lets you eat cereal flakes, puffed cereals, muesli and crunchy in an easy and comfortable way, at home, at a café, in your office. What about lunch? Who wouldn’t have a nice salad? Phantasia is the way Res-Novae® lets you make your salad rich of taste and nutrients, in a perfect Vegan style. You can sprinkle Yeast Flakes on pasta and rice; Gomasio is a peculiar seasoning made of sesame with a presence of salt; always fresh and easy to use, our seeds can also be added to soups and sautéed vegetables and can be an ingredient for bread, pizza and focaccia bread. 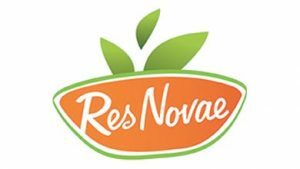 Res Novae® Phantasia single-dose is your new Vegan Experience, to bring to the table every day. Res-Novae® Equis is the perfect solution for those who want to eat more cereals but have little time to cook. The whole range of WHOLEGRAIN RICE and the READY-TO-COOK recipes are ready in 15 minutes only! Make a different choice every day and discover one of our aromatic rice varieties or one of our Mediterranean recipes (millet, quinoa or buckwheat as a base, already mixed with vegetables and spices). A complete cereal dish of great impact: tasty, organic, wholegrain, gluten free and Vegan. Success is guaranteed!